Story: The true story of Germany's most famous anti-Nazi heroine is brought to thrilling life in this multi-award winning drama. 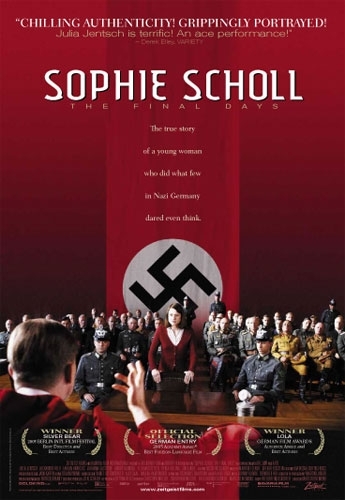 Germany's official Foreign Language Film selection for the 2005 Academy Awards, "Sophie Scholl" stars Julia Jentsch ("The Edukators") in a luminous performance as the young coed-turned-fearless activist. Armed with long-buried historical records of her incarceration, director Marc Rothemund expertly re-creates the last six days of Sophie Scholl's life: a heart-stopping journey from arrest to interrogation, trial and sentence.